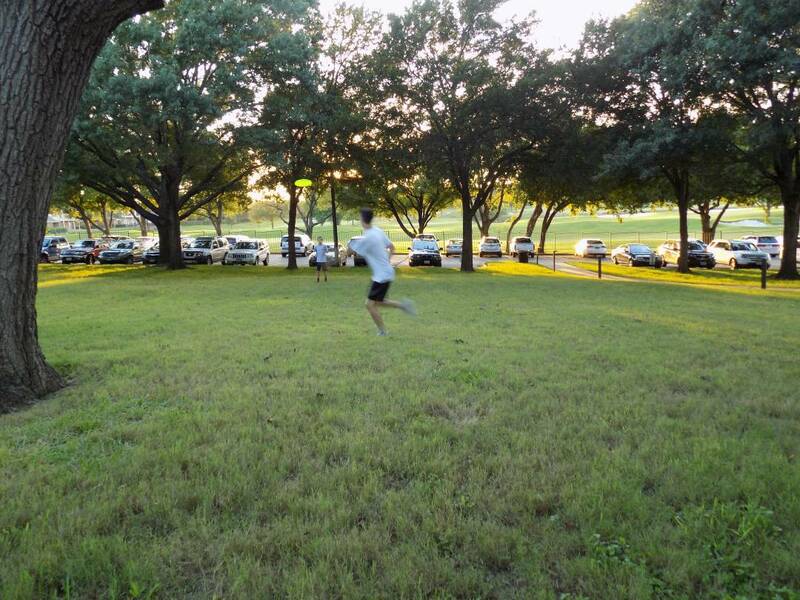 Mother Nature treated us nicely this year. 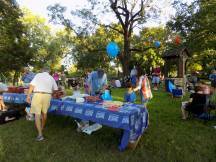 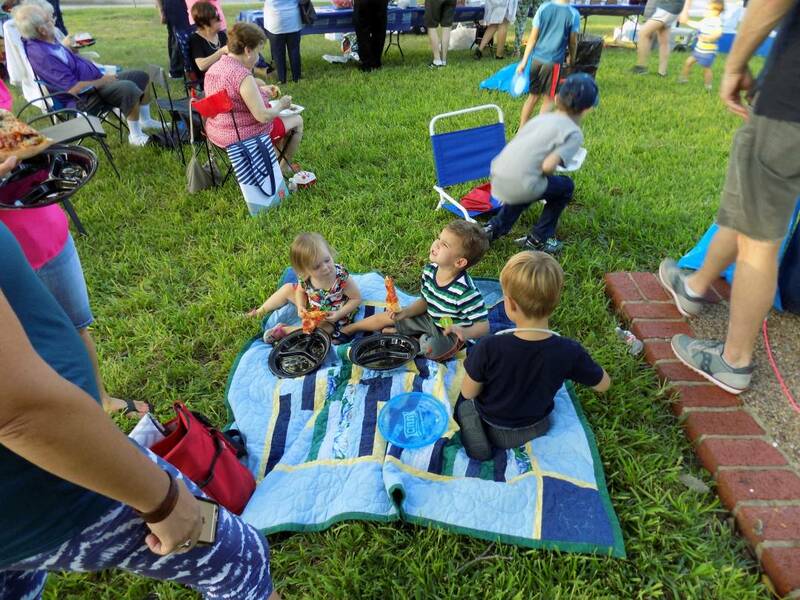 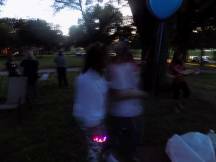 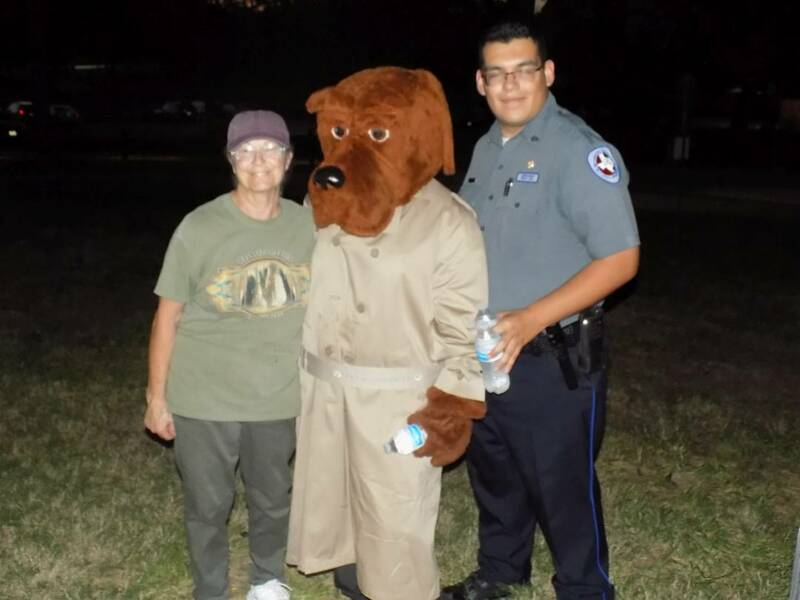 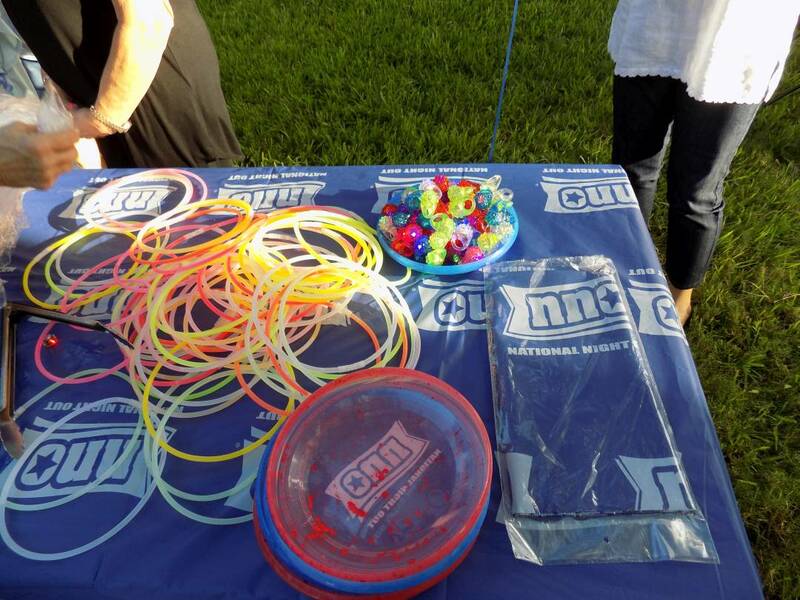 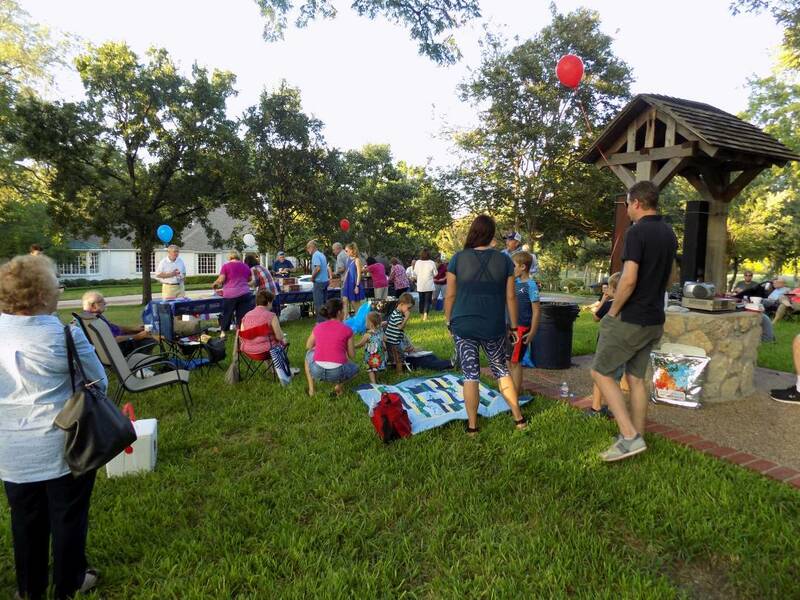 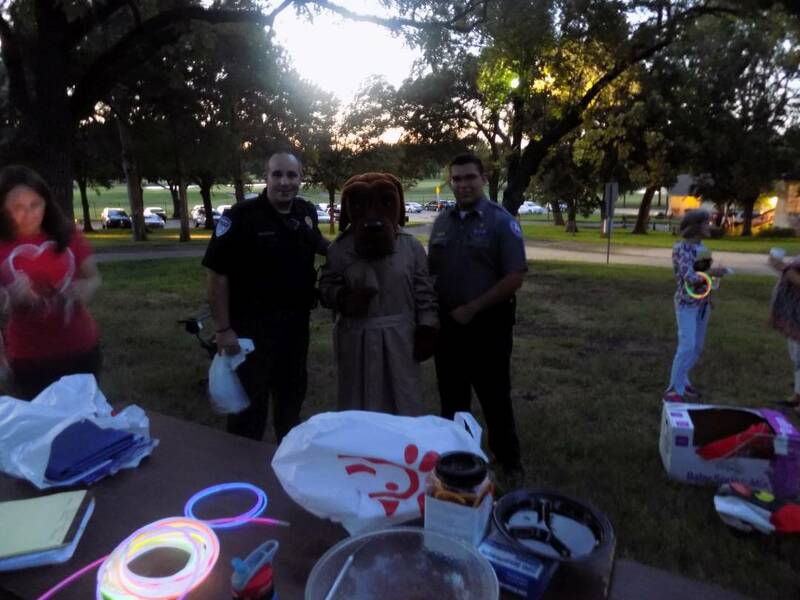 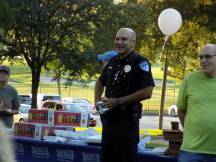 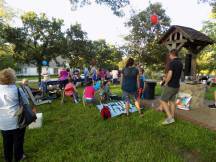 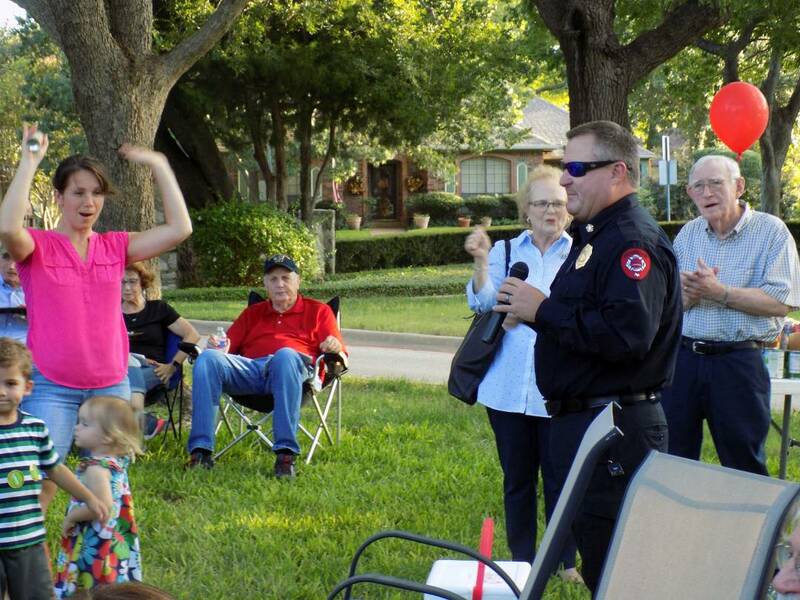 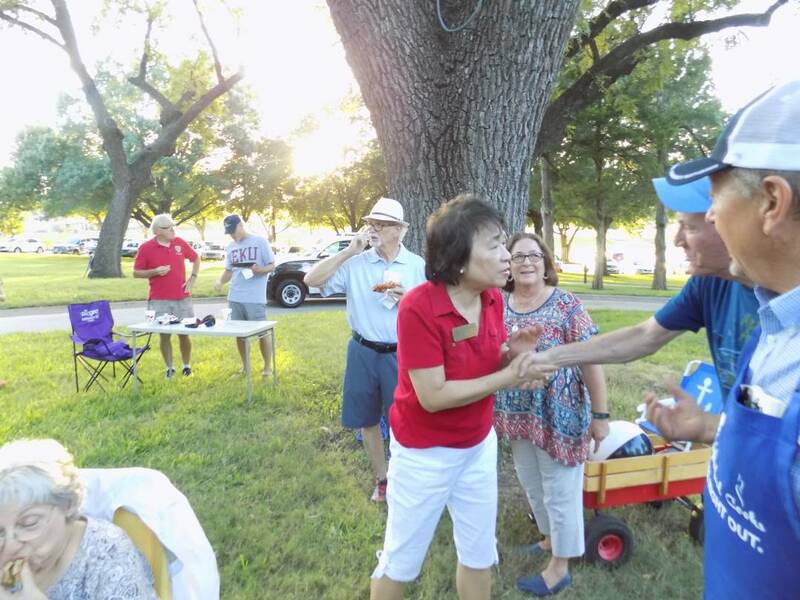 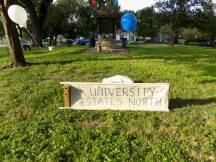 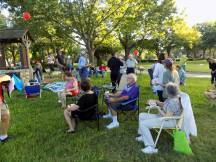 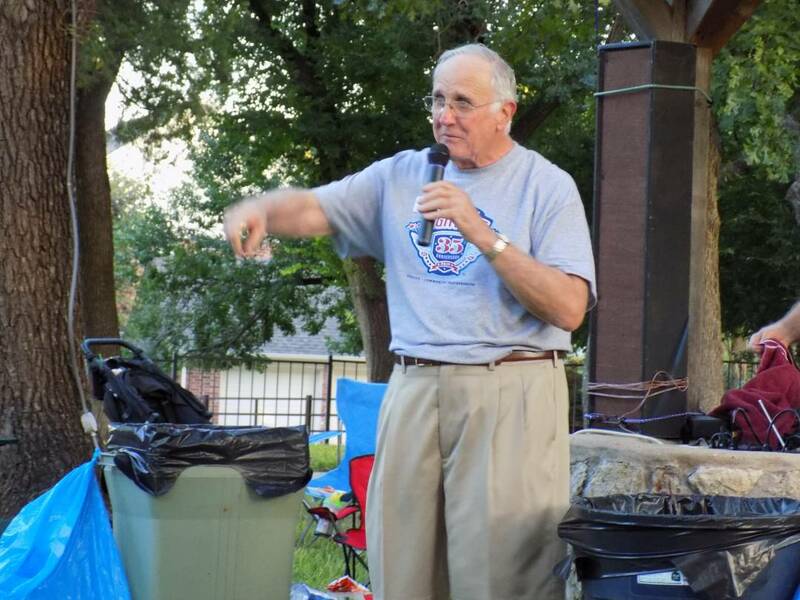 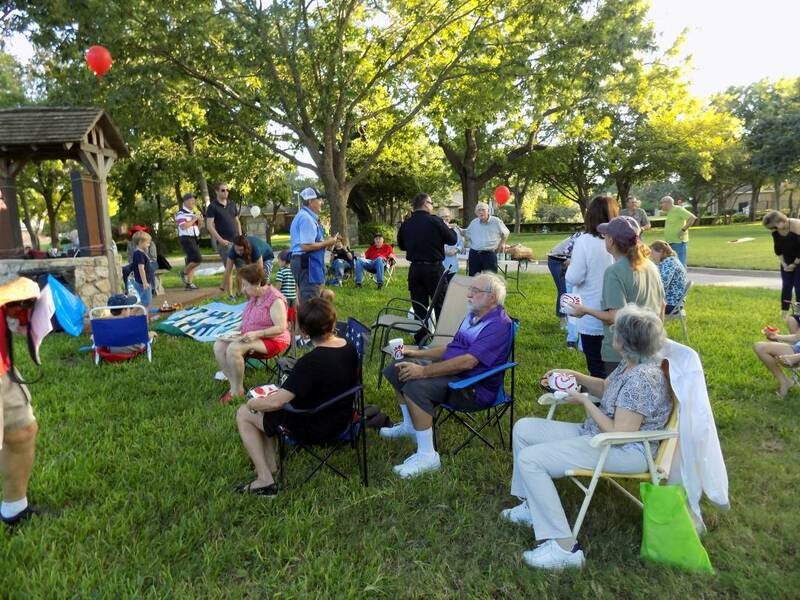 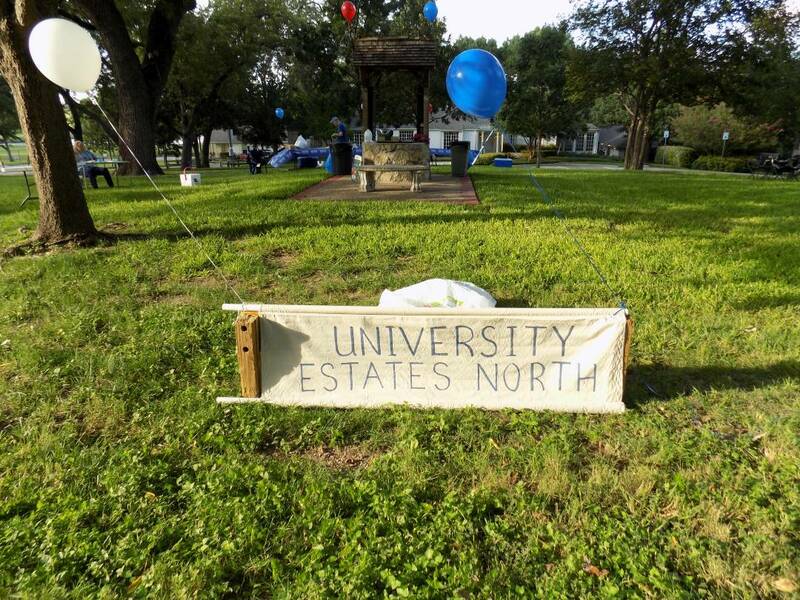 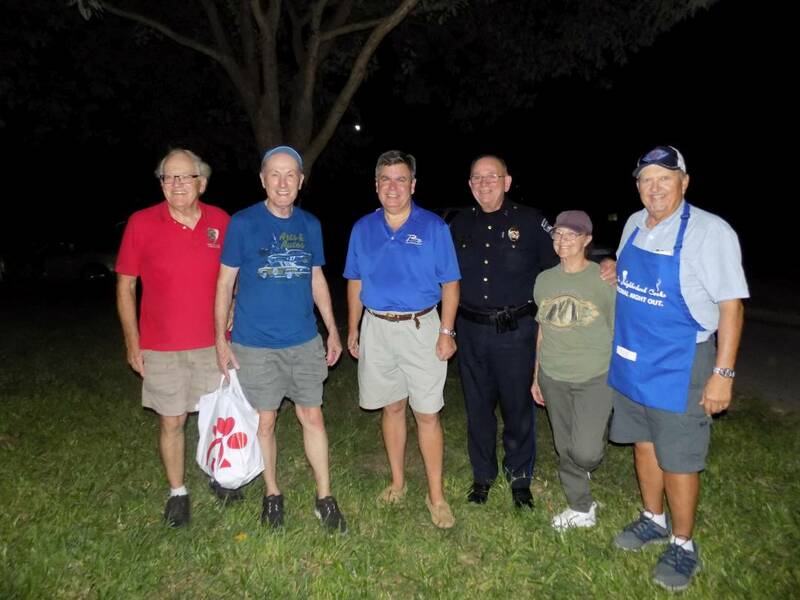 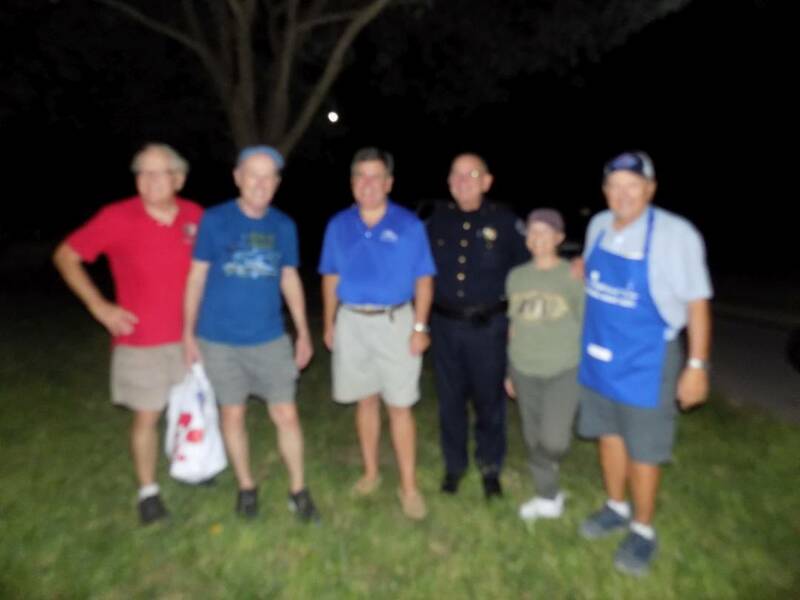 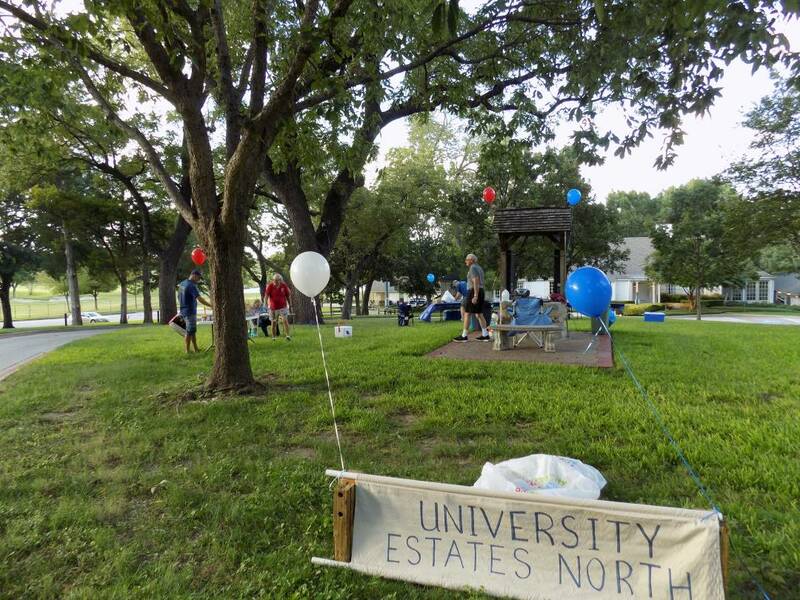 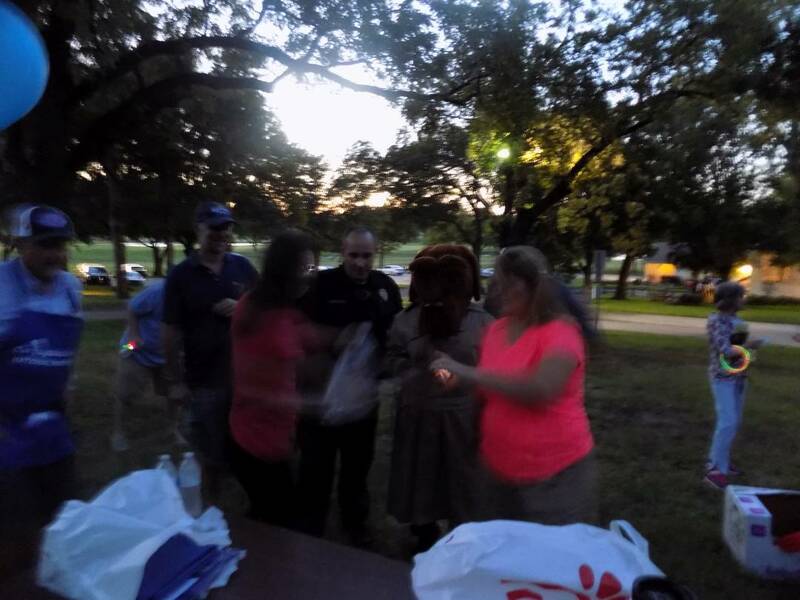 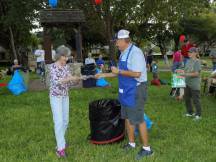 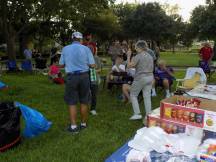 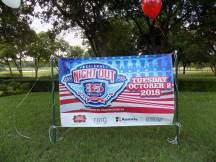 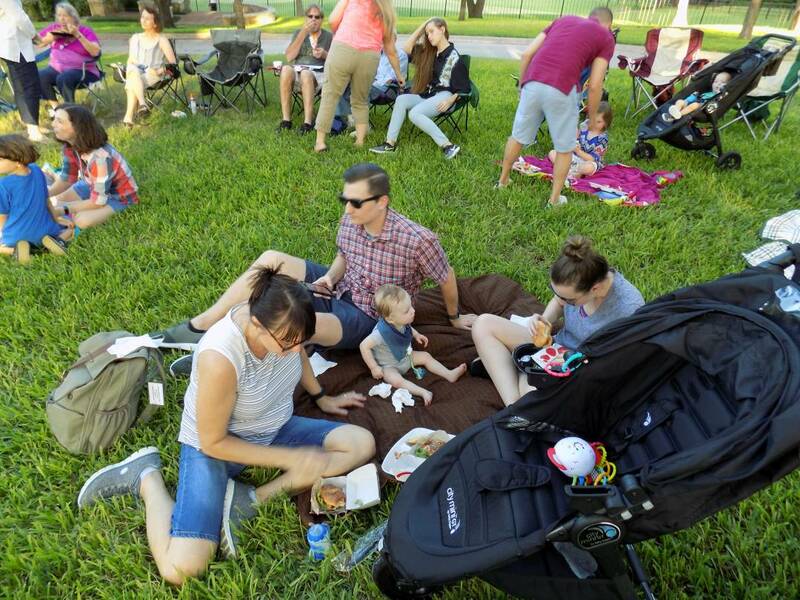 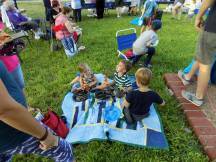 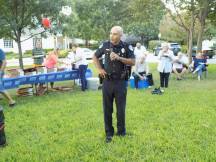 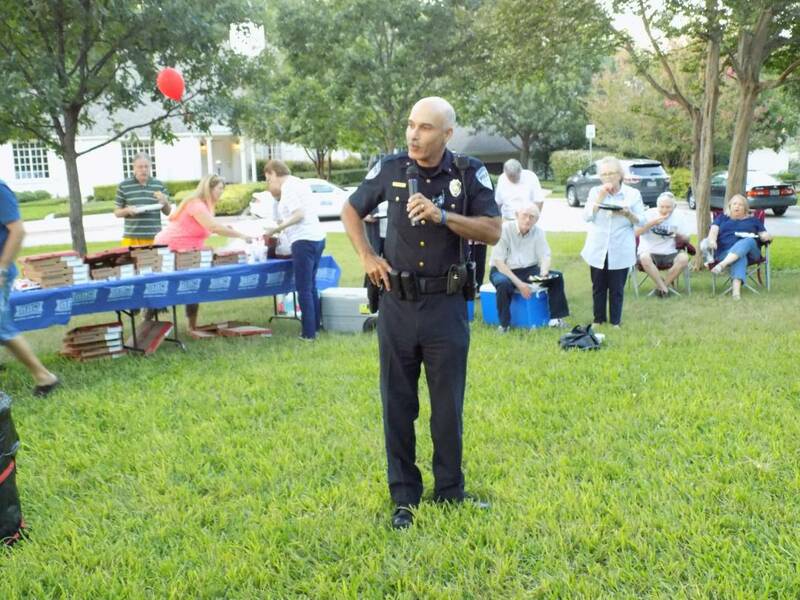 The 2018 National Night Out was held at the Woman's Club. 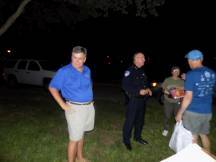 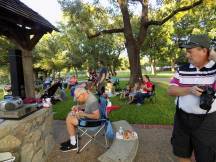 Our City Councilman (Mark Soloman) gave us a short synopsis of some of the happenings in the City. 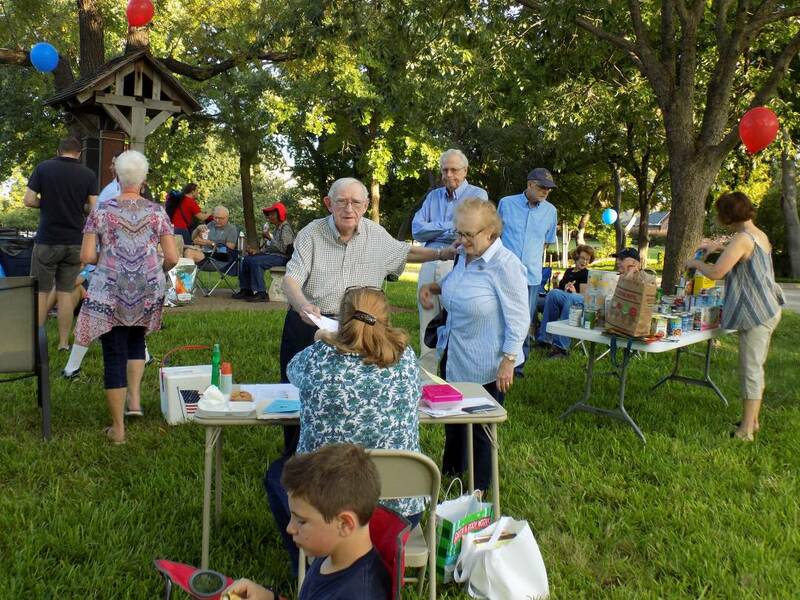 This was also our annual meeting where a new board of directors were elected for 2018. 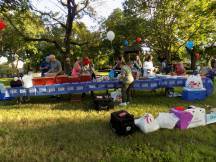 We will have Will Brown as President, Brian Nevill as Vice President, Desiree Knight as Secretary, and Julie Conway continuing as Tresurer. 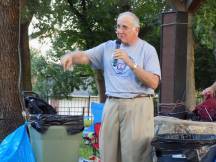 Jeff Burrows will assume the Past President role. 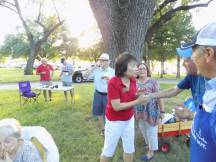 Angie Chen Button, our state representative, gave a nice speech. She was accompanied by a couple of RPD officers. 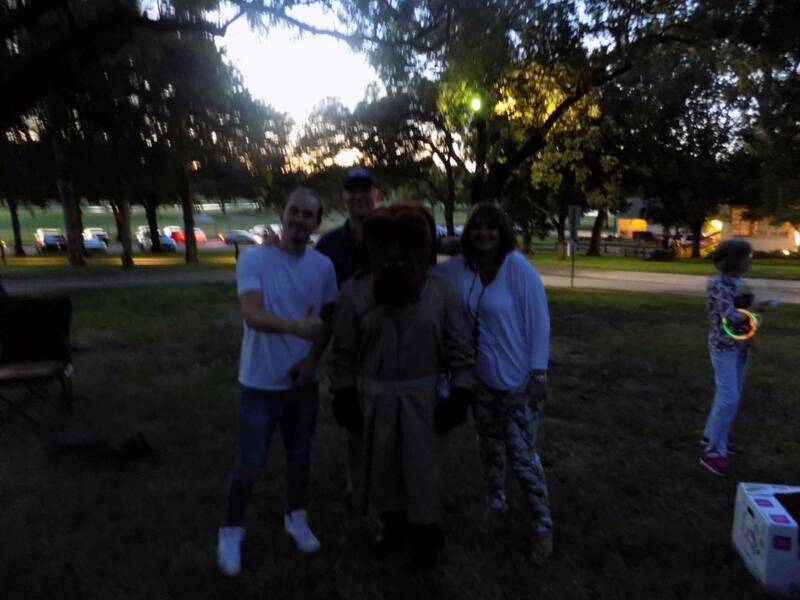 McGruff (the crime dog mascot) came along with a couple of RPD handlers. 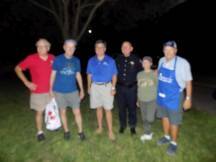 The City Mayor and Police Chief came by for a visit this year, although they didn't arrive until most people had left. 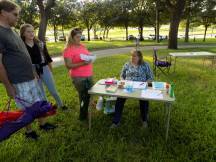 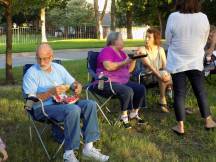 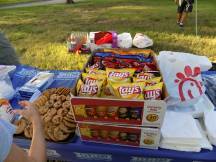 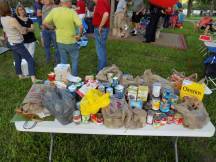 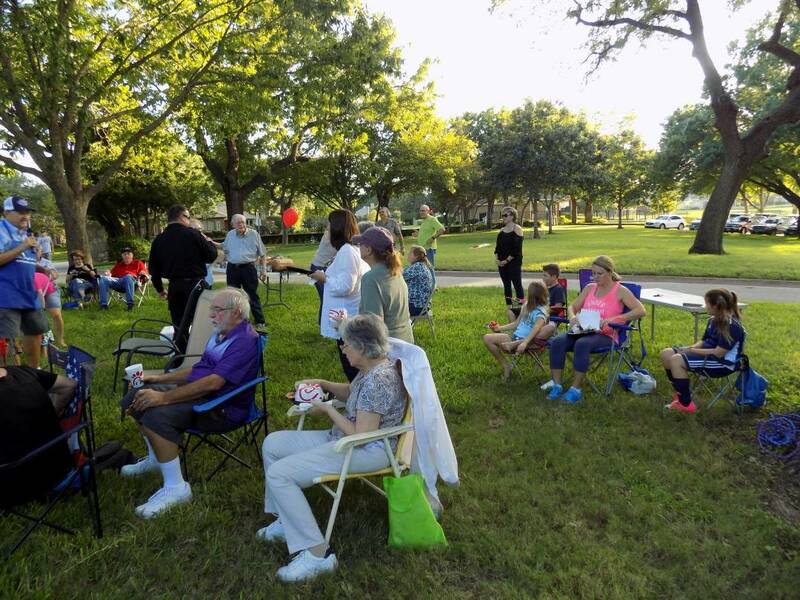 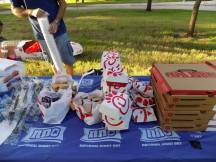 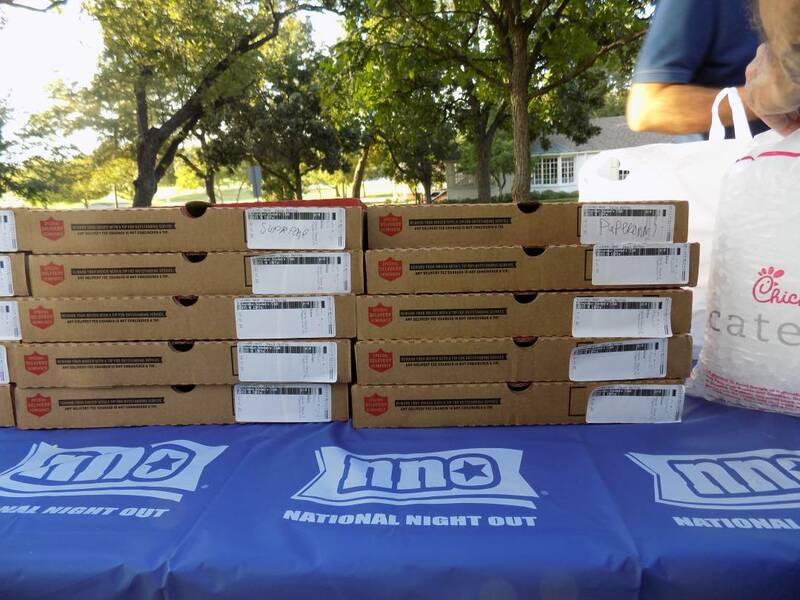 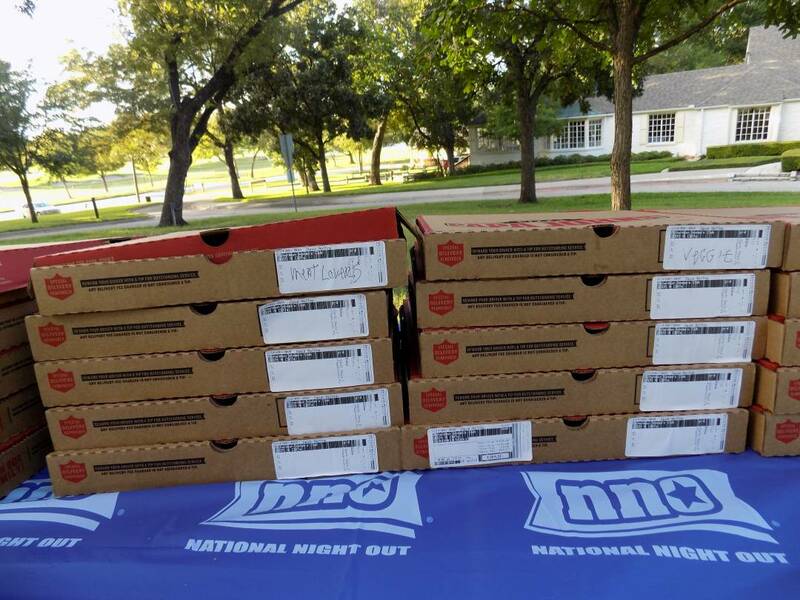 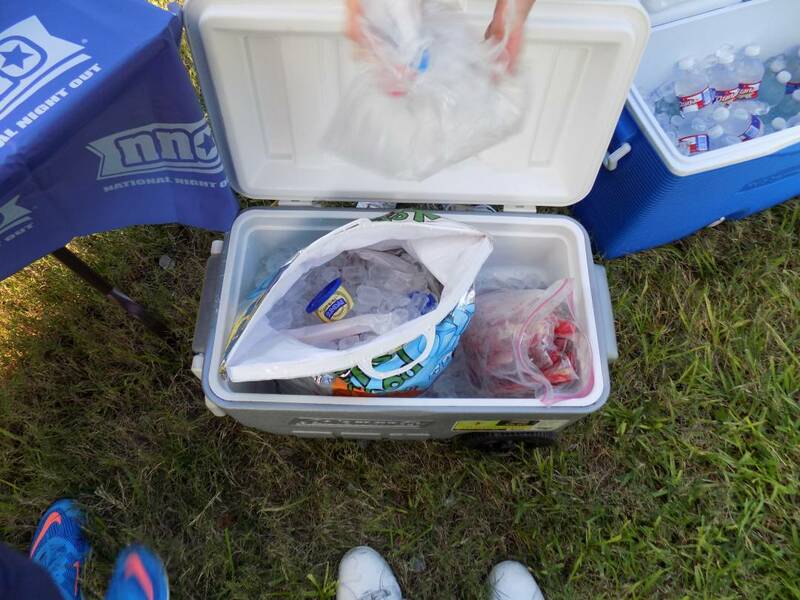 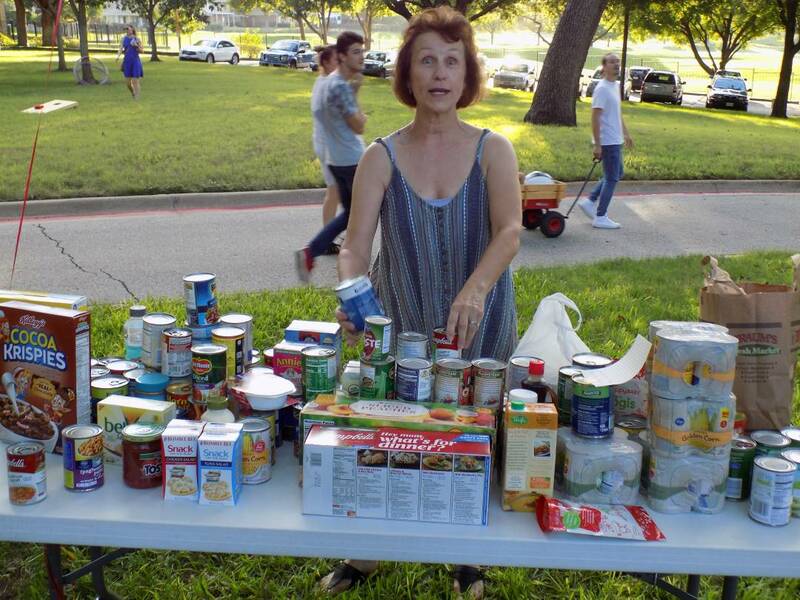 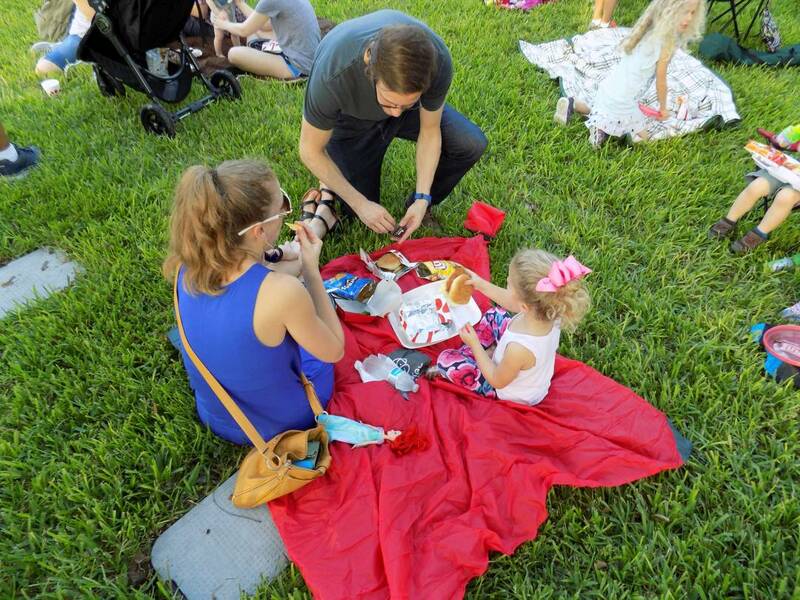 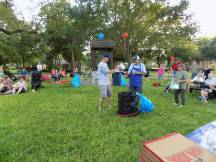 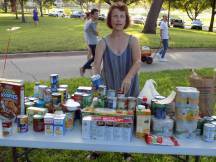 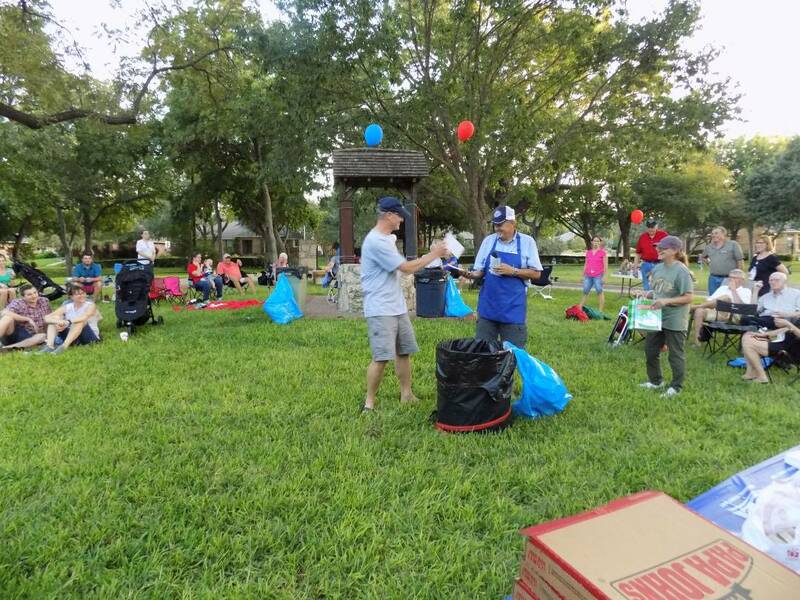 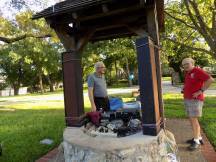 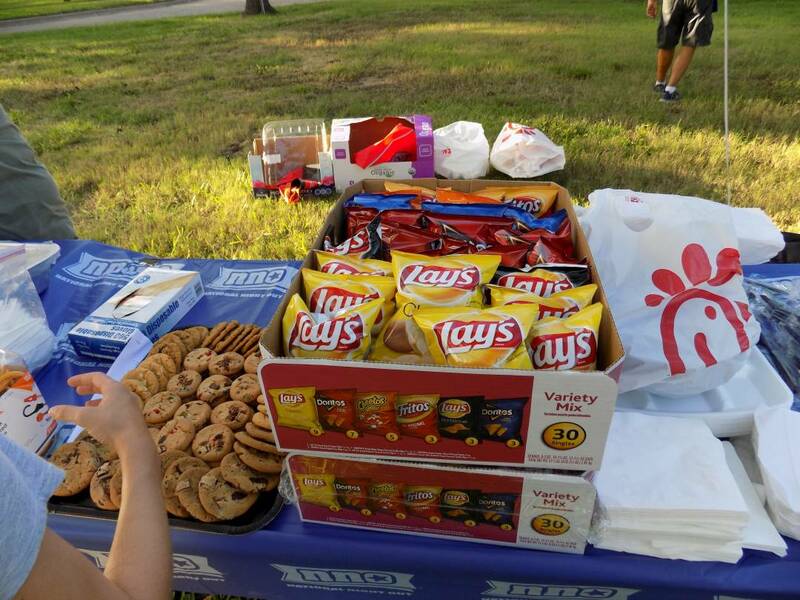 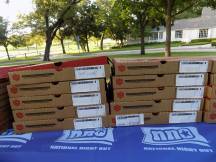 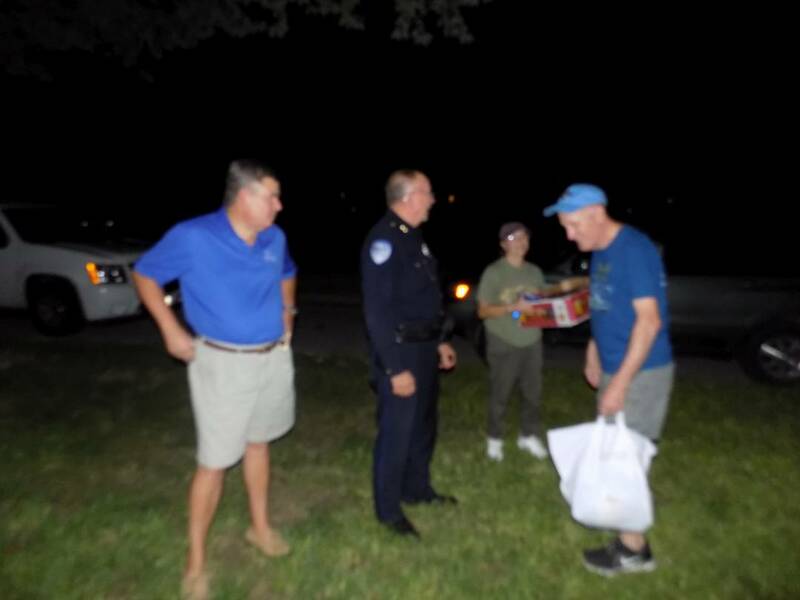 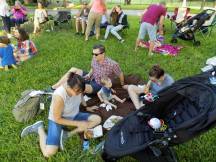 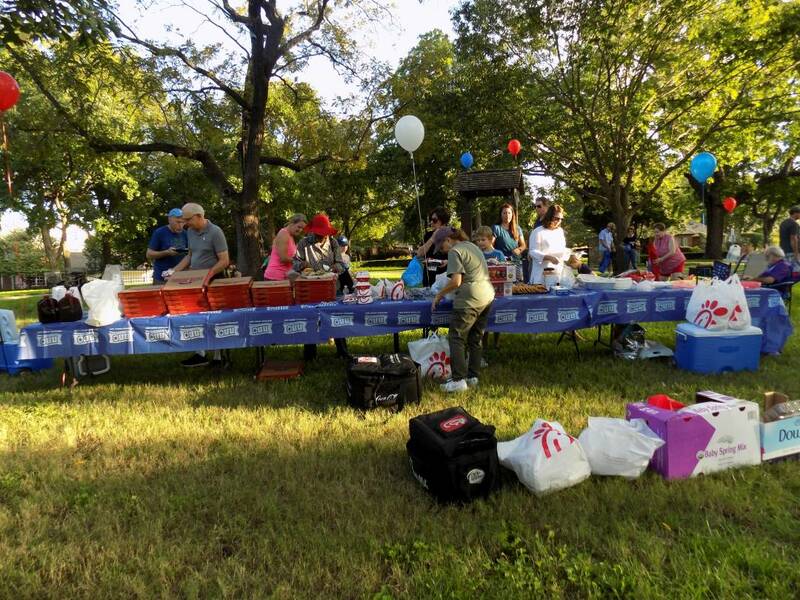 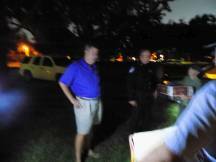 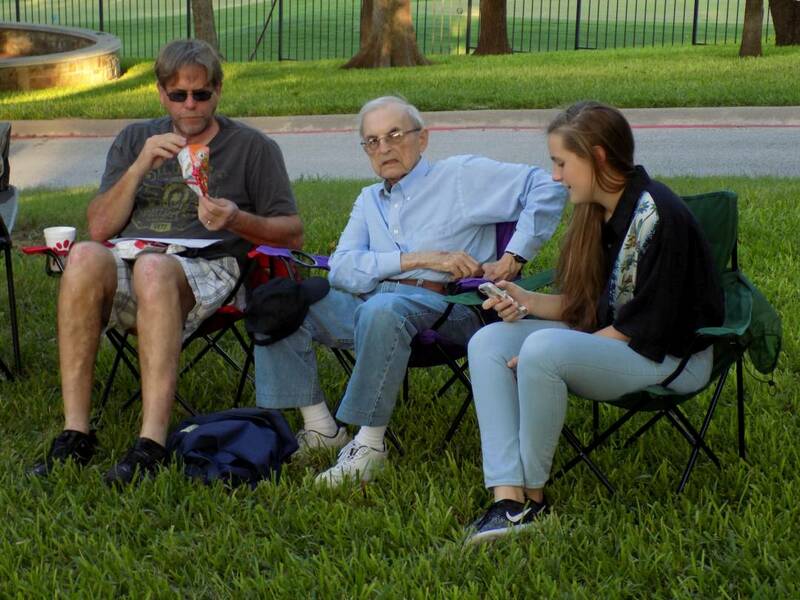 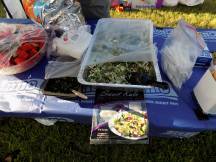 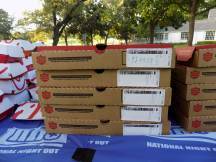 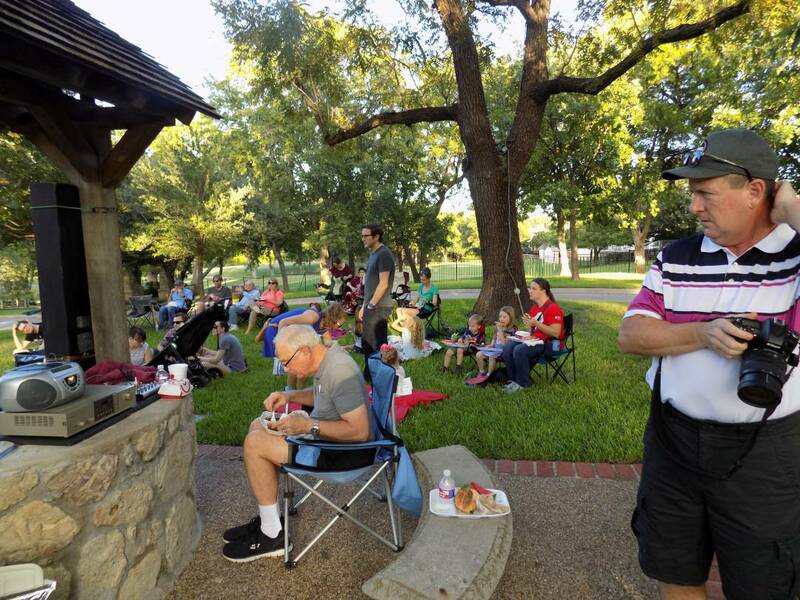 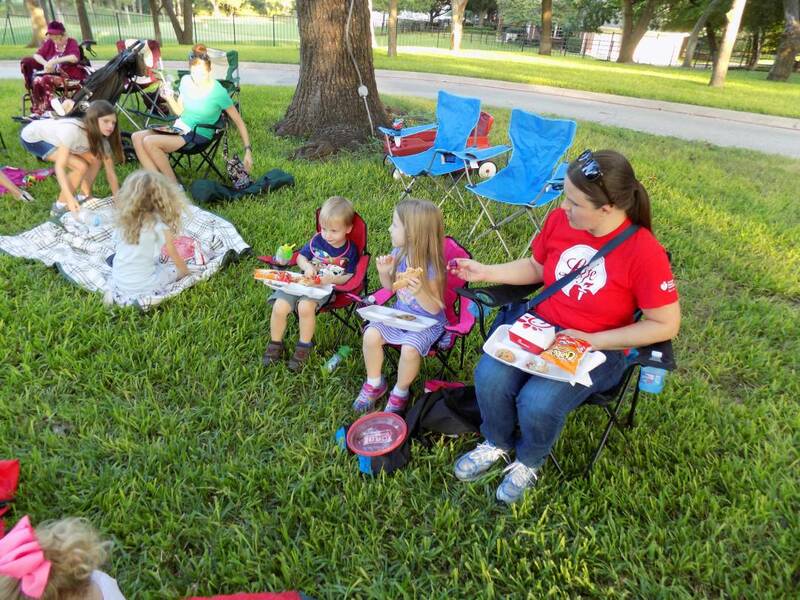 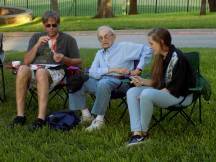 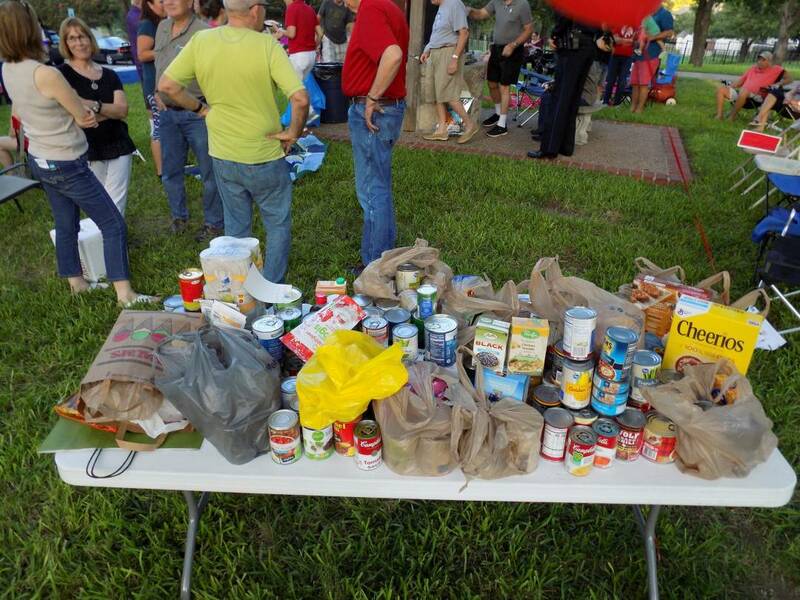 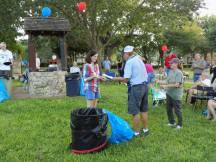 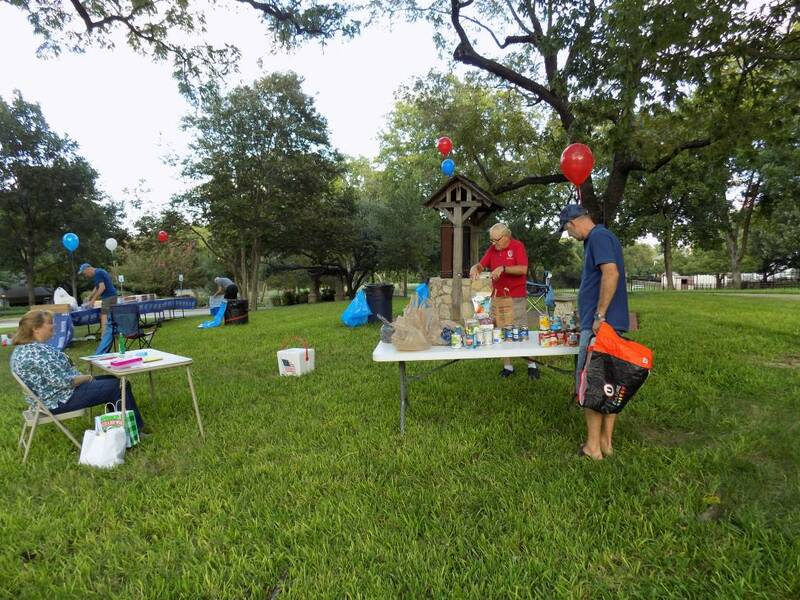 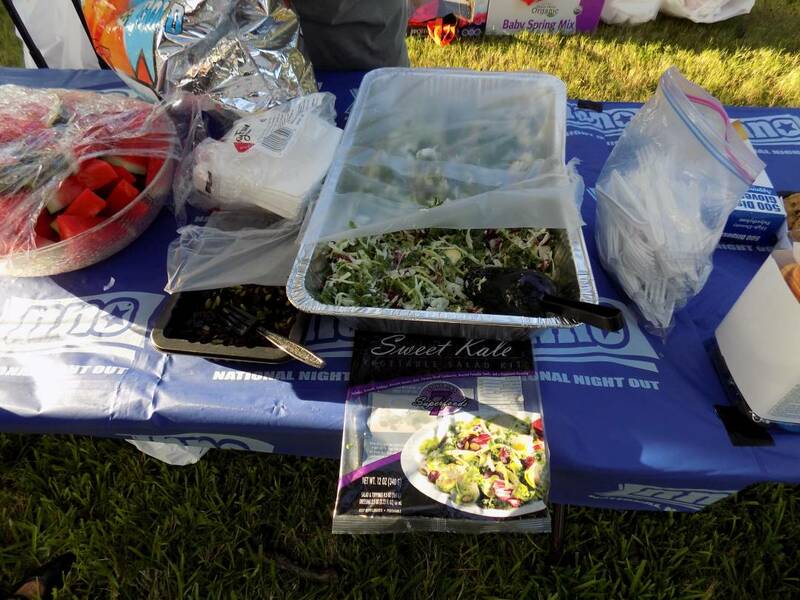 Chick-fil-A chicken sandwiches,Papa Johns Pizza, salad, tea, water, chips cookies, popsicles, and ice cream were served to the hungry neighbors. There were several door prizes handed out to lucky members who brought their 2019 dues and information forms. 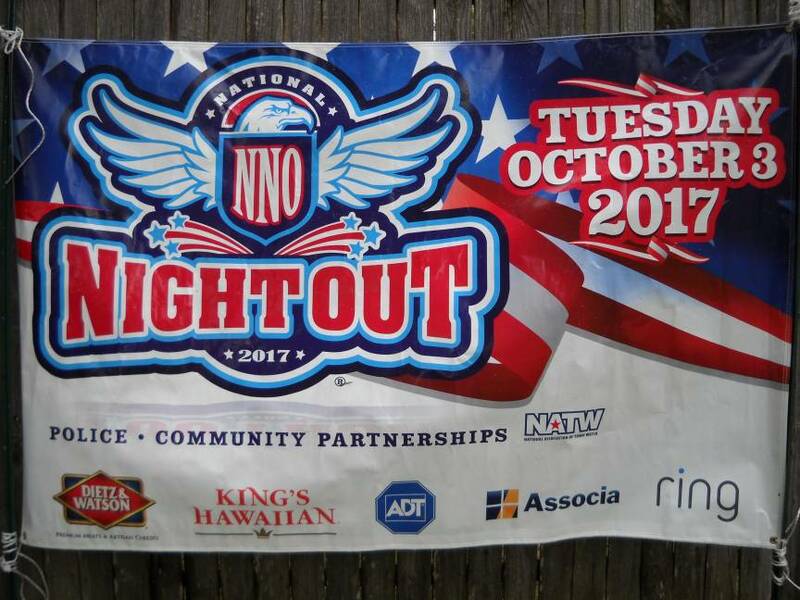 A great big THANK YOU goes out to the Roffino's, Lassiter's, O'brian's, Arnet's, Lewis', and others for putting on the event this year. 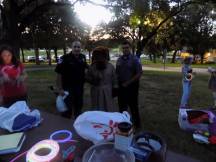 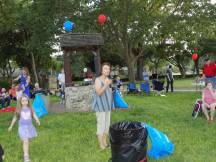 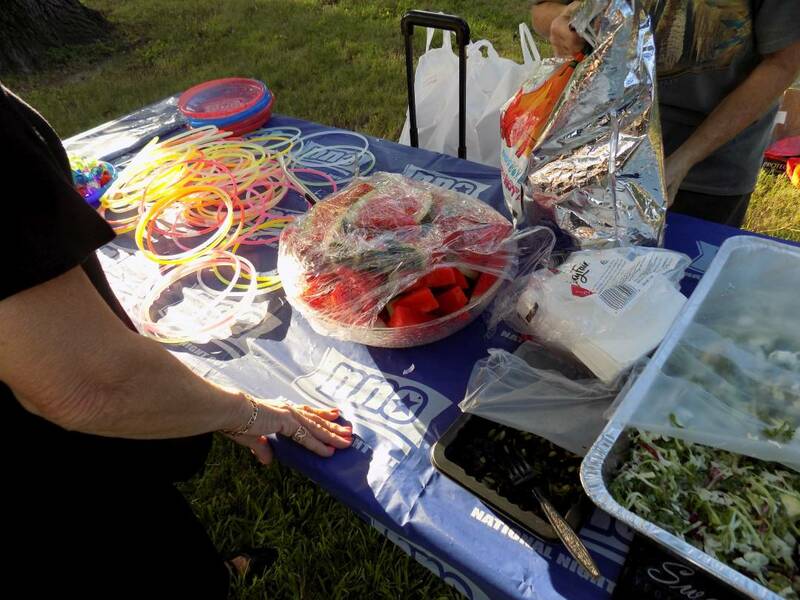 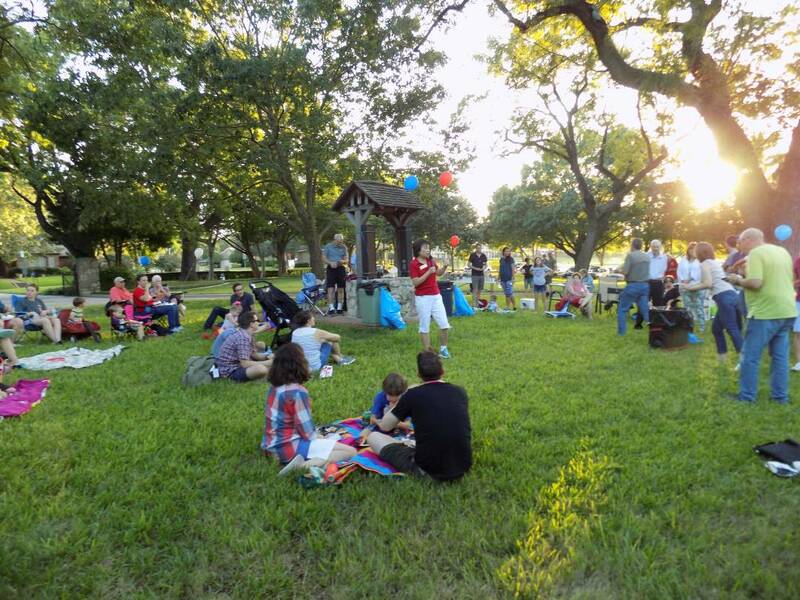 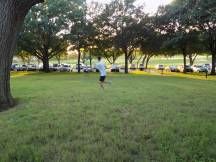 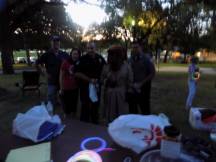 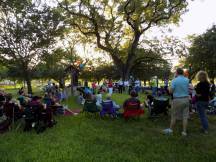 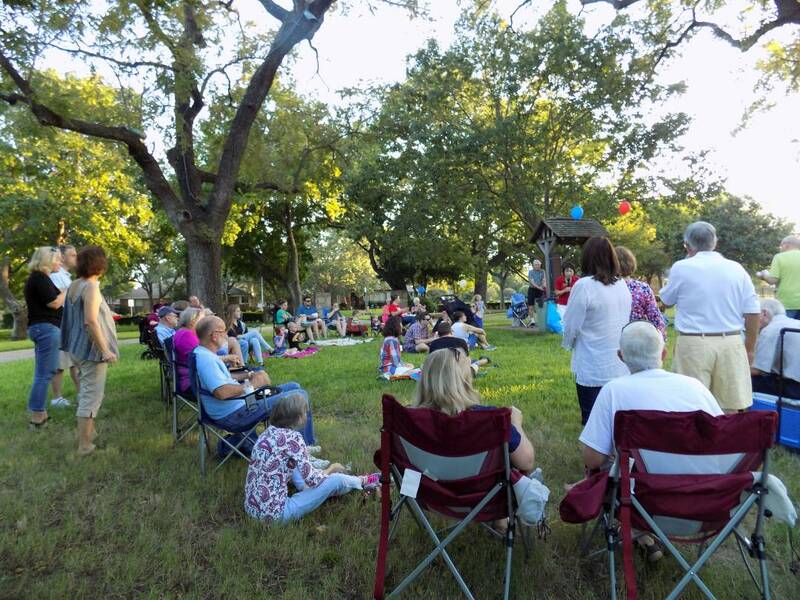 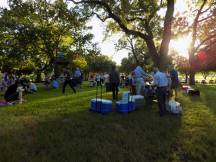 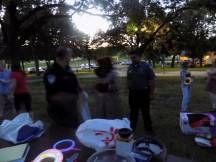 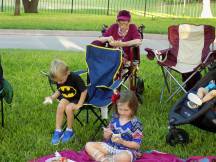 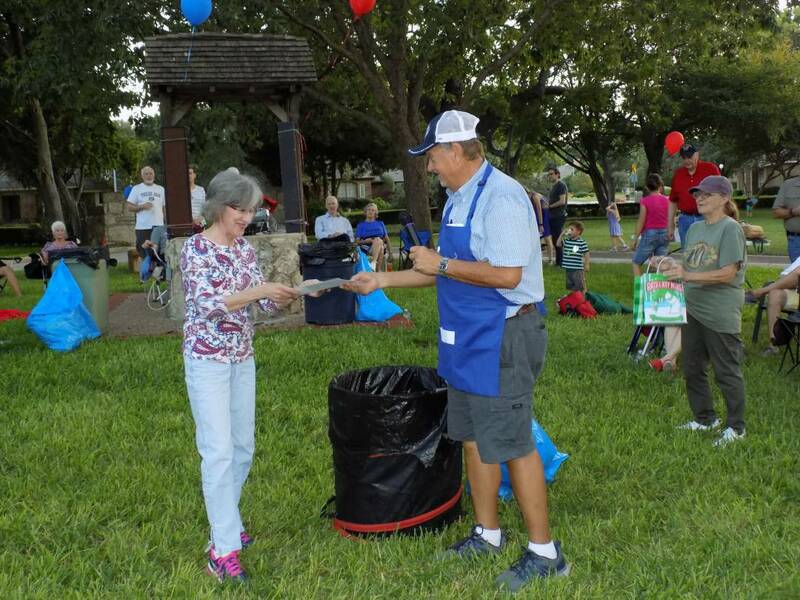 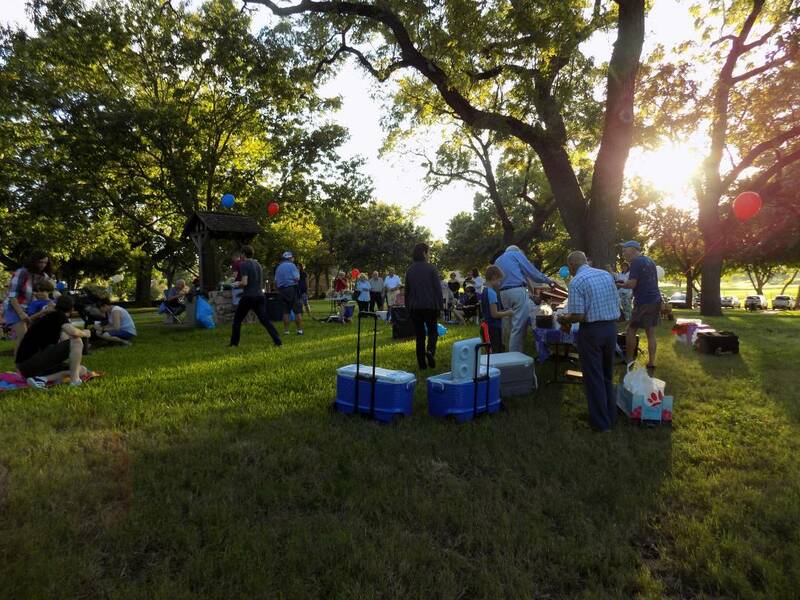 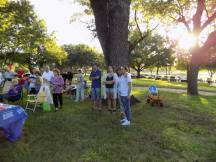 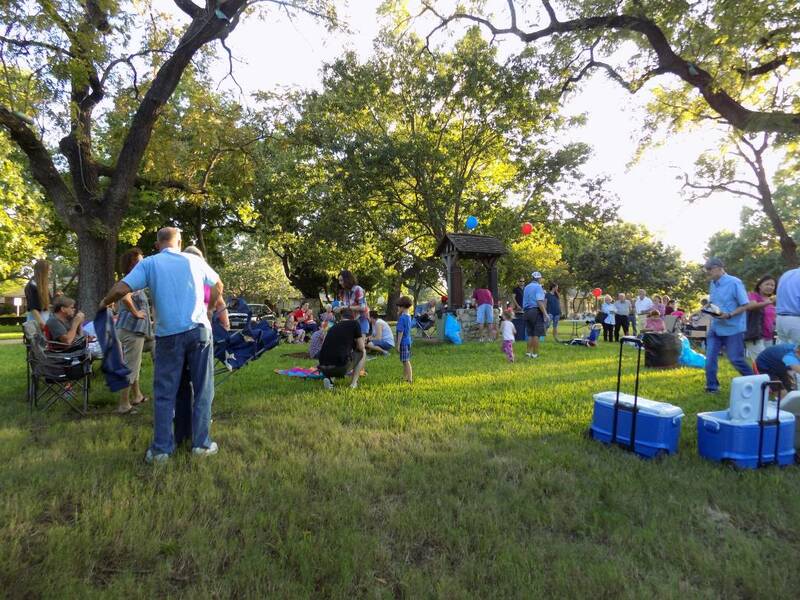 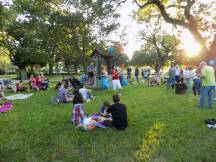 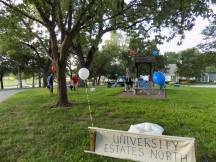 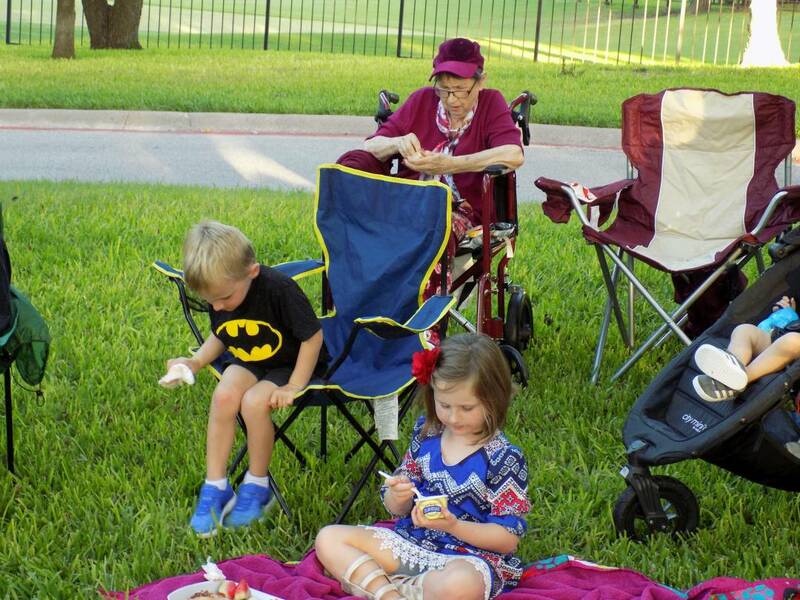 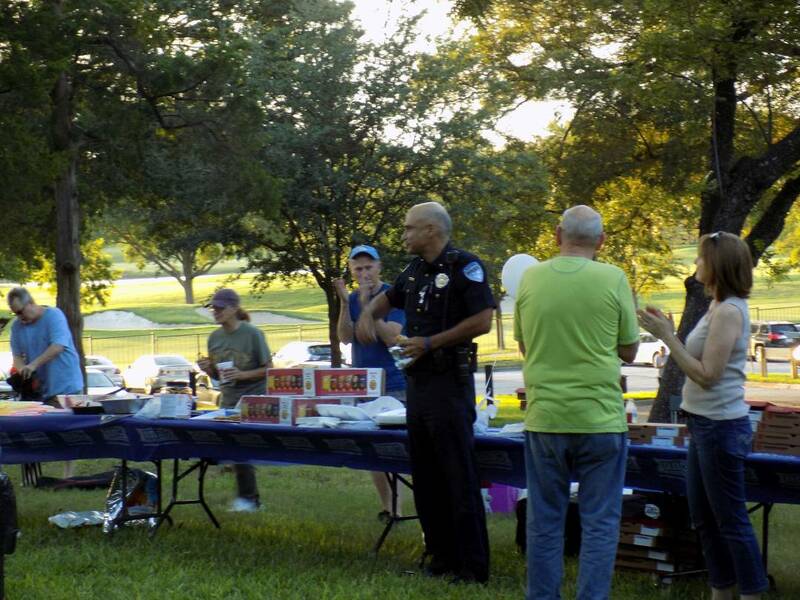 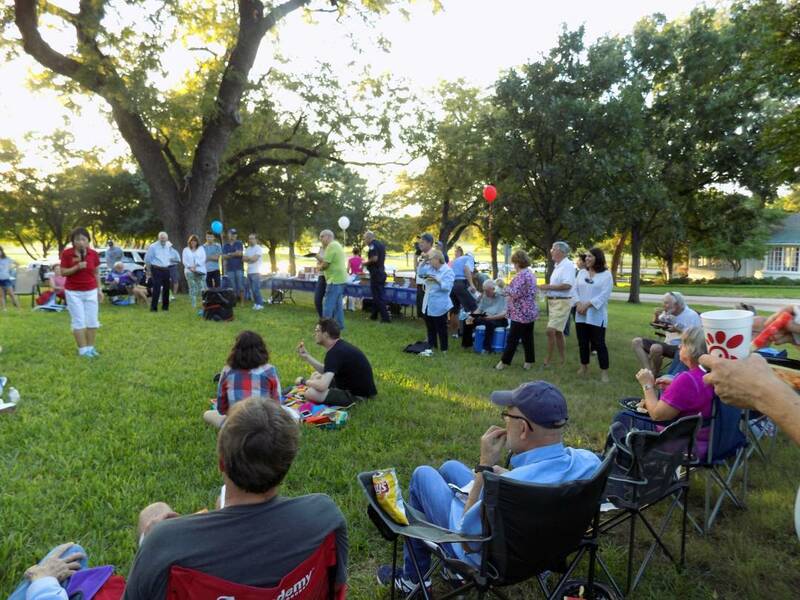 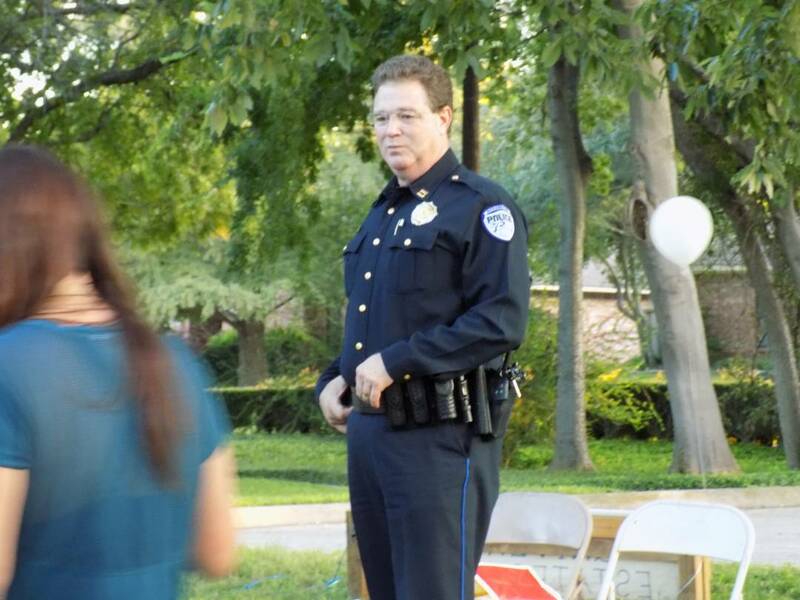 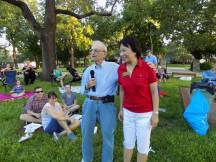 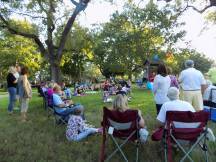 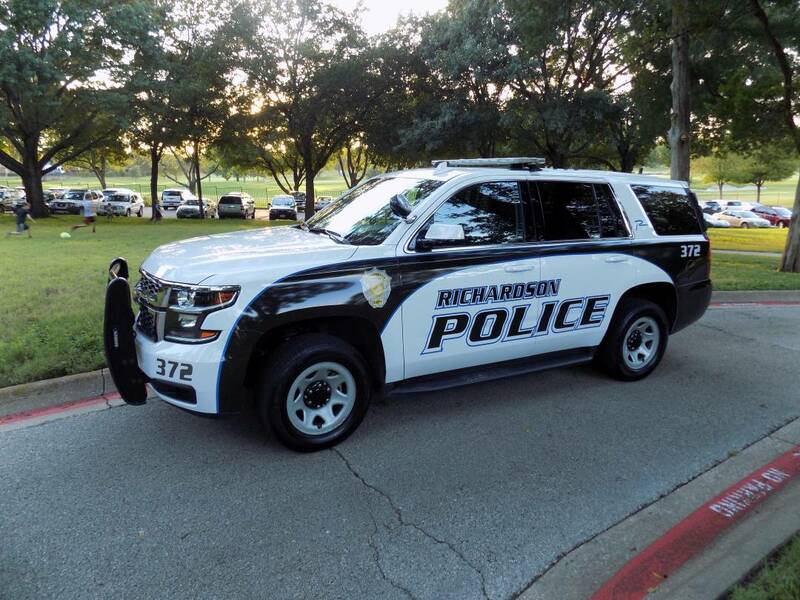 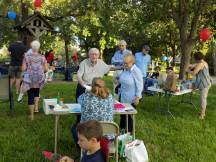 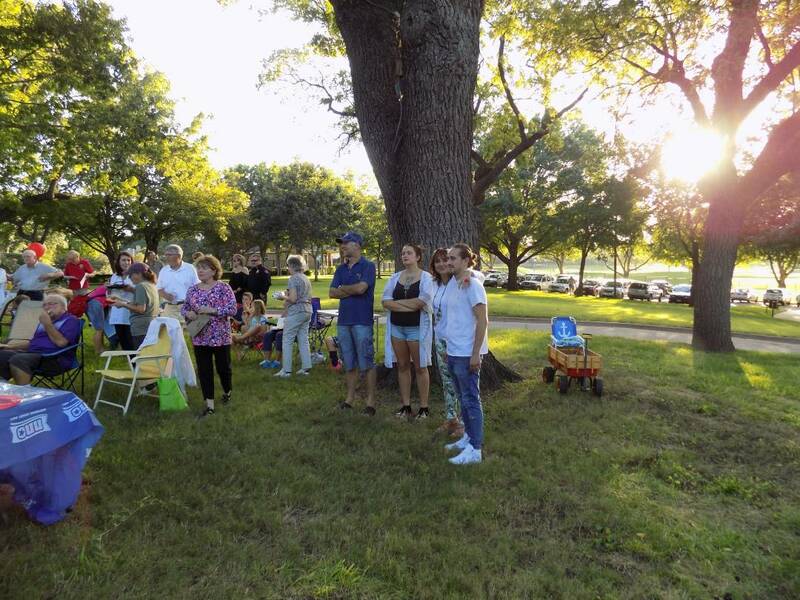 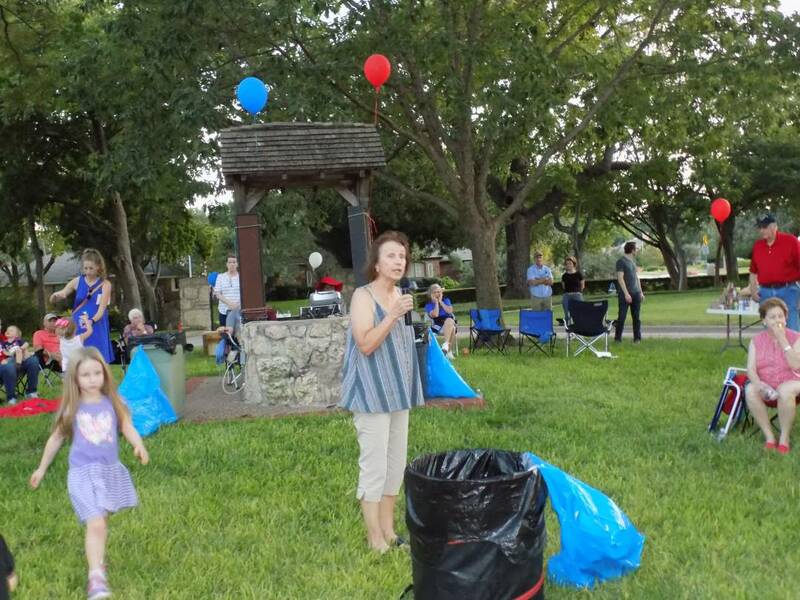 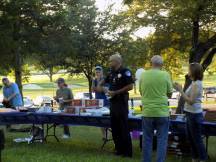 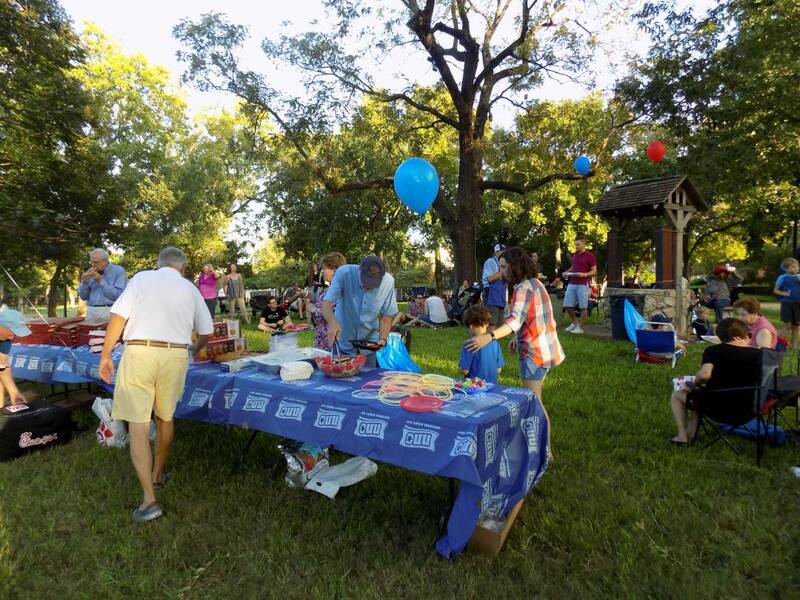 Special "thanks" goes to Richardson Women Club for letting us use their grounds for this important community event. 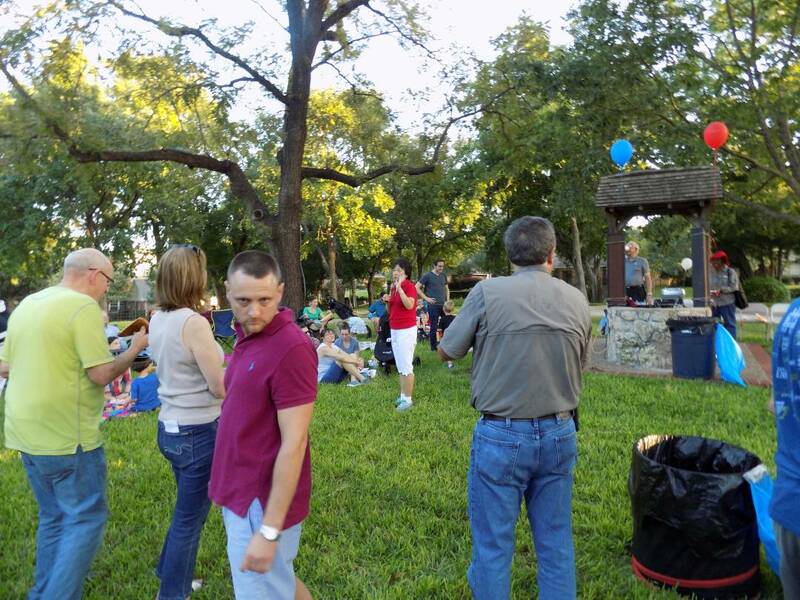 If you missed it, you missed a great time. See you next year!